The Central Bank of Nigeria Governor, Mallam Sanusi Lamido Sanusi, on thursday August 23rd 2012, announced its intention to implement its naira structure review which would see the N5000 naira note as the nation’s highest denomination. Other changes stated in the review will see the the N5, N10 and N20 notes converted to coins while the N100, N 200, N500, N1000 notes will be redesigned with added new security features. He also stated that three women who contributed to the country’s independence, Mrs. Margaret Ekpo, Mrs. Funmilayo Ransome-Kuti and Hajiya Gambo Sawaba would adorn the note. He also said that the picture of the National Assembly complex would be on the note. The apex bank of nigeria has only one major reason for taking such a decision, to save money.. i have 5 reasons why they should try other things.. Historically, in Nigeria, once a naira note has been converted to a coin, its notional value automatically depreciates. If Sanusi’s plan succeeds, it is very certain that sweets and biscuits and bubble gum and other traditionally low-priced stuff would soon cost N50 instead of N5 (which was the case when 1naira and 50kobo coins were introduced in 2005). Coins could hardly give value anymore in this country. Our 50k, N1 and N2 coins died out, soon after their introduction. The cost of the lowest-priced items in Nigeria’s informal economy is often pegged to the lowest denominated note. That means the conversion of 5, 10, and 20 naira notes will create artificial inflation in the national economy. The tendency to easily carry large volume of physical cash is similar to injecting more cash into circulation and this portends inflation. The introduction of 5000-naira notes will send prices of everything skywards, something that many Nigerians, who already live on very little, cannot afford. One example that has been mentioned in the media is the case of Zimbabawe where the financial institutions in the southern african country decided that printing of higher currency denominations will help fight inflation. This policy only made matters worse, is that the path Nigeria wants to tow? Most of country’s problems stem from the quick and unsound decisions that comes from their political leaders and policy makers who form the country’s supposedly best and brightest who should have known better. 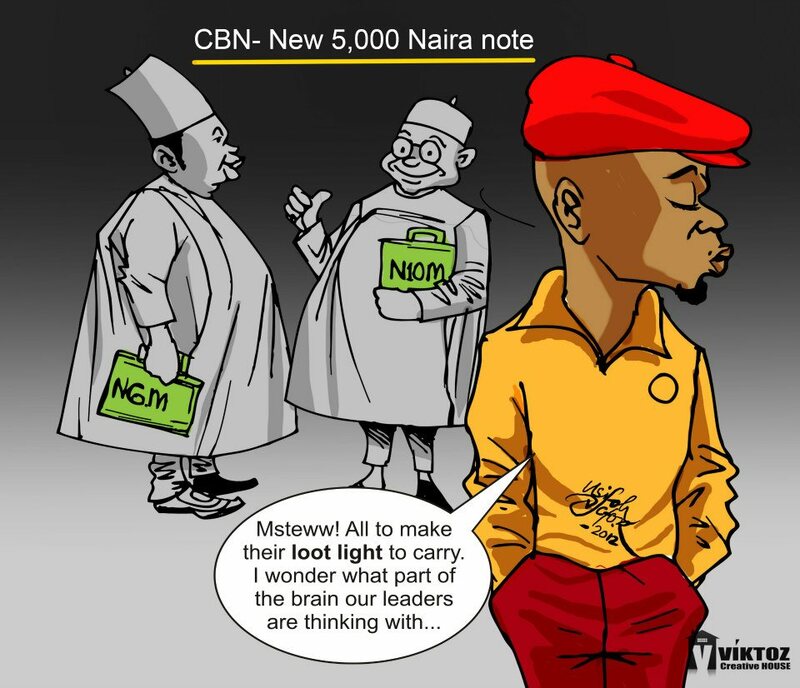 There are perilous cultural and economic ramifications that may likely come from the printing and introduction of 5,000 naira note into the circulation. First and foremost it will be an inducement for Nigeria to progressively print larger banknotes, today it is 5,000 and next time it will be 10,000 naira note until naira become worthless. Basically, a single N5000 note will fuel inflation since there is little or virtually no production taking place in the country, while a redenomination of the existing N20, N10 and N5 notes into coins will lead to a disappearance of these currencies as nobody and even the CBN has not been able to compel Nigerians to spend them. Nigerians seem to have a disdain for coins! The billions spent on making new coins in 2005 is yet to be justified. 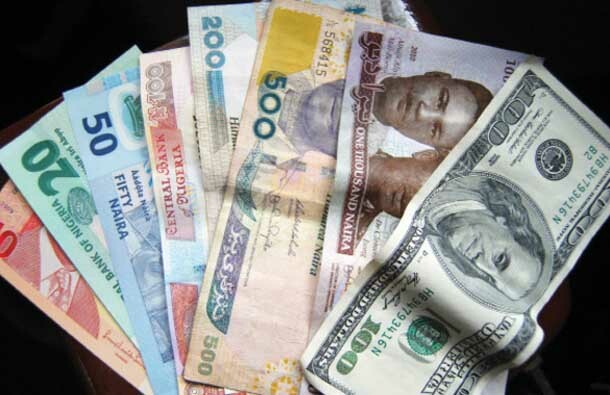 According to the Economists, the monetary profile of any country depends on how successful its monetary policy model is “but because ours (CBN Monetary Policy) is a failure, is the reason why we have a N5,000 note and we will have a N10,000 note, in another five years or less because at the rate at which inflation is officially going,….we will need a higher denomination meaning we have a faulty monetary framework. They also say selling the treasury bills with 15% interest is risky. The cultural implication is quite enormous; already Nigeria has a problem with corruption, money laundering and bribery. The large banknotes will be a powerful facilitator for bribery and corruption and that is not the intended purpose of CBN. It will not make it easier for the fight against corruption to see the light of the day. Activists say the new note will encourage corruption, something that already flourishes in Nigeria and will be made easier by not having such obviously bulging pockets when doing dirty deals. As many people have already persuasively argued, there is neither economic sense nor common sense in Sanusi’s plan to unleash his unneeded N5,000 notes on us. The only thing I can point to as the motive force for the policy is that it helps corrupt politicians and their cronies in the private sector to physically steal and move about with large sums of money without being noticed. Hundreds of millions of naira, even billions, can easily be packed in bags without attracting curious stares from people. The bottom line is that contrary to the statement by the CBN that higher will encourage nigerians to save in naira, it will rather encourage, money laundering, capital flight, bribery, and crime. Nigerians, Opposition parties, Labour Unions, Financial experts, the Nigeria Bar Association, Religious leaders, Entrepreneurs, Activists and Even Medical Practitioners have all queried the rationale for the CBN policy. While some financial analysts say the policy may contradict the cashless regime already on-going, others frown at the CBN’s plan to spend N40.3 billion for the printing of the N5,000 note, when the country is facing perennial security crisis, abject poverty and unemployment. Some entrepreneurs say the action is clear monetary policy failure on the part of the CBN, which is capable of triggering inflation and at the same time devaluing the naira. Some protesters were describing the plan as wicked, saying it would lead to “economic enslavement of Nigerians”, the country’s leading lawyer group said it was “shallow”, “poorly thought out” and “harebrained”. Even the families of the three iconic women whose images have been slated to grace the new notes have spoken out against the plan. Well-known activist Dr Joe Okei-Odumakin, who is the president of Women Arise, says that if the three women whose images are set to grace the new note were still alive, they would be horrified. She says these women were icons and should be honoured but not on a bank note the masses don’t want and that many believe will further worsen poverty in the country. The women Funmilayo Ransome-Kuti, Margaret Ekpo and Hajiya Gambo Sawaba were activists, educators and pioneering female politicians. “If these women were alive, they would absolutely condemn it and they would never allow such wastage to happen,” Okei-Odumakin added. The Vice President of the Nigeria Labour Congress and Secretary General of the Textile Workers Union, Issa Aremu said in a statement in Kaduna that the decision may trigger workers’ expectation for wage increases. There is a direct relationship between higher bank notes and devaluation, he said. 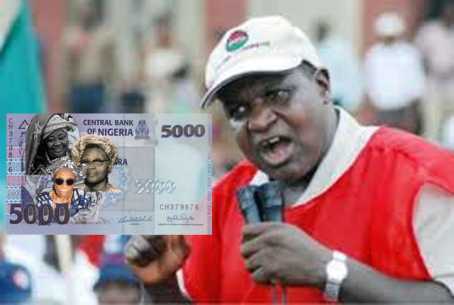 Aremu expressed the opposition of Nigerian workers to the proposed introduction of the N5000 notes next year as announced by the Central Bank of Nigeria, asking the bank to rather to concentrate on revamping the manufacturing sector rather than toiling with theintroduction of higher bank notes. “The CBN should concentrate on stabilizing the value of the Naira rather than legitimizing the devaluation of the currency. CBN under Sanusi Lamido Sanusi should continue with the good work they are doing with respect to revival of manufacturing sector and management of inflation and interest rates. The double digit inflation rate as we currently have cannot take us out of the economic crisis. THE Association of Senior Staff of Banks, Insurance and Financial Institutions (ASSBIFI) yesterday opposed the proposed naira restructuring by the Central Bank of Nigeria (CBN). It said the introduction of a higher denominationwould signal the devaluation of the country’s currency and attract hyper-inflation. The Nigeria Bar Association (NBA) argued that such a measure which will affect the lives of Nigerians in many ways is not a mere fiscal measure which the CBN can claim exclusive jurisdiction over saying that the issue is a legislative matter that is within the sole legislative province of the National Assembly. “Such far reaching fiscal or currency measures are beyond the competence or purview of the CBN,” the body said. The NBA also noted that the CBN is not the 4th arm of government for there is no such term in Nigeria and advised the apex bank to submit themeasure for legislative approval which the National Assembly is expected to consider in linewith the wishes of majority of Nigerians and threatens to drag the bank to court if it persists to negatively alter the face of the Nigerian economy. The doctors condemned the planned introduction of the N5000 note and the conversion of N20, N10 and N5 notes to coins saying it will have a negative implication for the nation’s economy. Mr Enabulele advised the Central Bank Governor, Sanusi Lamido to “review his planned introduction of the single N5000 note, and N20 and N50 coins, on account of the likely negative implications for the economy. This will be a waste of the nation’s resources. What economic value are we getting from this as a nation? The question the CBN and the presidency must answer is whether this is what we need now. Coins for instance, are presently not accepted, why would CBN spend more money to mint new coins, when the previously introduced ones failed? ASSBIFI charged the CBN to initiate programmes that would tackle inflation, interest rate, improper banking habit, bank robberies, unemployment, corruption, money laundering, insecurity and poverty. It advised the government to use the proposed N40 billion for the naira restructuring to revive other sectors of the economy that were comatose. The NLC urged the Federal Government to divert the N40 billion budgeted for production ofN5000 Naira note into infrastructural development. The federal government should focus on the development of the real sector of the economy that will directly impart on the citizens. I suggest we spend this N40billion Naira on the power sector, roads, healthcare, agriculture etc. Let us focus on reducing poverty, dropping unemployment and delivering the dividend of democracy to our people. She says the Government should busy itself with helping the people it represents, fixing the roads on which people die every day and the medical system, which is a shambles and which sees Nigerians with money head to Europe for treatment. The CBN however yesterday disclosed that about N7 billion out of its total cost of printing currency will be saved annually with the proposed introduction a N5000 banknote. It’s imperative for the CBN to get its act together and face the myriad of problems afflicting the economy such as the chronic and high unemployment levels ravaging the land, single digit interest on loans that will enable industrialists and businessmen borrow from commercial banks and create jobs, the banking sector crises amongst several other top priorities. President Goodluck Jonathan needs to urgently put machinery in place to checkmate the problems of insecurity, food crisis and corruption in the country. The association (NBA) rejected the argument of the CBN that the introduction of the N5000 note will not promote inflation noting that the realities of the Nigerian economic situation cannot be founding the Western Business Models that the CBN officials are familiar with. The NBA observed that Nigerians may well see N10,000 or N20,000 notes very soon. From all indications, the present economic situation does not require the introduction of a higher denomination currency like N5,000, especially with the CBN’s current policy on cashless economy. The cash-lite monetary policy already in the implementation stage places restriction on cash withdrawals limit as well as the volume of money to be carried about. It doesn’t really make a lot of sense to introduce a higher demonination. For instance, people are already trying to key into the cashless policy, which commenced on January 1, 2012 in Lagos and is expected to be implemented in other regions across the country. So, introducing a higher currency may significantly undermine the cashless policy and the socio-economic development of Nigeria. We could recall that in 2005 fiscal year, the former governor of CBN, Mr. Charles Soludo, embarked on currency restructuring, which paved the way for the introduction of N20 polymer banknote and subsequent conversion of N5, N10 and N50 paper banknotes into polymer notes in 2009. What value did that policy add to the economy? This is the question we must ask now. For instance, the inflation rate currently stands at 12.8 and the CBN is trying to introduce a higher currency that could worsen the inflationary situation in the economy? Maybe the N5,000 bank note must have been in the pipeline for some time now.. Initiating an important economic policy also requires adequate monitoring of the economic indicators to ascertain the appropriate time to introduce new policies, particularly in the financial sector. 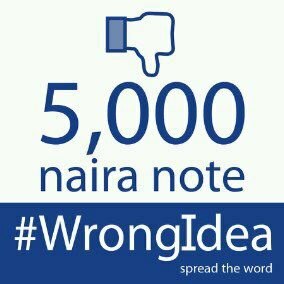 If Sanusi had intended to introduce the N5,000 note, the cashless policy should have been put on hold. Putting the economy on cashless trend and coming back to introduce higher currency doesn’t make unless the CBN governor has personal profit from the project, especially considering the huge amount of N40.3bilion needed to implement it. something seems off..
Also, converting 20, 10 and 5 naira notes to coins does not make any economic sense and may not serve any useful purpose in terms of reducing the prices of goods and services in the economy, or increasing the wages of workers. Instead, it may trigger inflation and at the same time devalue the naira. For example, efforts made in the past to give recognition and value to our coins did not yield positive results. So, the decision to introduce it now can not be seen as being radical. This should have been his vision on assumption of office. Formulating such monetary policy at the time the nation is facing security crisis and alarming rate of poverty and unemployment may not make any impact. For example, Nigeria has a population of 168million, which is expected to hit 400million between 2020 and 2015. Currently, the economy is growing at about almost eight per cent without employment generation. The national level of poverty rate in the country is above 60 per cent. So, everyone should be concerned about investments in infrastructure and creation of jobs to make the economy thrive like what obtains in developed countries and not in currency project that requires a huge sum of N40.3 billion, which may be failure. Introduction of the N5000 Naira note will dwarf the essence of the CBN Cashless Policy, which was embarked upon less than a year ago. A pilot scheme of the CBN cashless policy is currently running in the Lagos environs. Think about it, one bundle of N5000 Naira note is N500, 000, which can easily slip into the smallest of pockets and purse. This high denomination note will discourage consumers from patronizing the banks and encourage them to hold large sums of Cash. Imagine some one whose salary is just N20,000 Naira, this will be just four pieces of the proposed N5,000 Naira note. Do you think he will take it to the bank? Since the N5,000 denomination will be easy to carry and spend. Nigerians will be their own bankers; let’s not forget in a hurry how a Nigerian had well over two billion Naira in his house. If the cashless policy is undermined then what becomes of the huge investment of the CBN to implement the policy and what about the investment of other financial institutions on electronic infrastructures and framework. Nevertheless, there is already too much money in circulation chasing the few goods and services. The introduction of the N5000 Naira note will only worsen it. The introduction of higher denomination currency note did not solve the problem of inflation in countries like Argentina, Peru, Zaire, Angola and Zimbabwe. Instead of the CBN to conceive policies that would encourage entrepreneurship and strengthen the manufacturing sector, thus increasing employment opportunities and also increasing our domestic production, the apex bank is creating policies that will further enslave nigerians financially and weaken the economy it is meant to protect. The country’s reserve bank has gone about mopping up excess cash by raising the interest to more 12 percent (15percent soon) to combat rising inflation. Now in a splitsecond they chose to rubbish their good work with this incoherent policy decision? Sadly, Goodluck Jonathan, Sanusi & most of the top government officials are now fast assuming notoriety as some of the most insensitive, out-of-touch bureaucrats to ever walk Nigeria’s corridors of power. Until early this year Sanusi had no freaking clue that the majority of Nigerians use petrol-powered generators to get electricity for themselves. It is sad that this same man, who predicted that there would be little or no inflation when the fuel subsidy was removed in january this year (we know otherwise now), is making policies that affect the lives of the vast majority of our people who are desperately poor. Why won’t there be a vast disconnect between policies and people when the people who make the policies live in a vastly different world from the rest of us? The “decision” of the Central Bank of Nigeria to mint a new denomination of N5000 note and also redenominate smaller denomination of the Nigerian currency into coins seems misplaced, out of tune with reality and also has the hallmark of wrong prioritization of policies. In Summation, We cannot continue to “Cut&Paste” economic policies (that are yet to save the americans and europeans) and adopt them to our own unique country. History has taught us in this country, making economic decisions based on policies that were tailor made for european countries has always failed horribly. The chairman of stanbic IBTC bank mentioned that he’ll print 10000 naira notes if he were in change (and he’s a part of the economic team), thus there is a real possibility of the introduction of higher denominations.. Moreover, bad decisions like this coupled with the problems of poverty as well as increased insecurity may harm the chances of a PDP victory at the next election, the president to be intent on alienating the party from the electorate. Although the CBN is autonomous, The Senate needs not wait for the economy to collapse or allow wrongly introduced policies to bring hardship on the citizenry by waiting to undergo due process of amendment before intervention. I am advising the CBN governor to initiate monetary polices capable of adding value to the naira, to tackle inflation, create jobs and strengthen the banks to make the economy function optimally within the short and long-run expectations. How much does it cost to print 5 naira notes and so on. Naira to print naira? Fiat currency paper hoax.